The achievement of these initiatives relies on the voluntary work of the Management Committee and all Association members, who are expected to assist wherever possible. Some members also work with the Aberfoyle Park High School to develop students’ skills in printmaking, as an extension to their art program. This is a contra arrangement for the use of the Print Studio in building D29, which is located in the APHS grounds. Any person who wants to access the Studio during school hours (8:30 am – 3:30 pm) when children are present, must have DCSI clearance approval. As a volunteer, you can apply through the associations’ Requesting Officer, to initiate the online screening process, on your behalf. Full Membership is available to printmakers with a good knowledge of printmaking techniques, the competence to work alone, a proven familiarity with the equipment provided and Occupational Health & Safety procedures required. Your application will be presented to the Management Committee for approval and confirmation. access to the Printmaking Studio, free of charge, unless there are Bittondi Workshops, taking place. Please refer to the Bittondi Website calendar. voting rights at the Annual General Meeting and the right to be nominated to the Management Committee. the right to participate in any exhibition or project selection process that is organized by the Association and to receive invitations to Exhibition Opening Nights. The annual Full Membership Fee is $50.00 and is renewable 12 months from the date membership is confirmed. Full members are also asked to pay a once-only Capital Contribution Levy of $100.00, to help with the purchase and maintenance of the equipment required in the Printing Studio. Full-time Student Membership is available to students who are studying Full time and have completed a minimum of two years, of an accredited Printmaking Course. Your application will be presented to the Management Committee for approval and confirmation. Benefits offered include the same rights and responsibilities as Full Members, but the Association will waive the $100 Capital Contribution Levy until such time as the applicant is no longer a Full- time student. The annual Full-Time Student Membership Fee is $25.00 and is renewable 12 months from the date your membership has been confirmed. Associate Membership is available for anyone who would like to attend Workshops or demonstrations run at the Studio. The benefits offered include supervised access to work in the Studio on Open Studio days and during Print Club sessions, regular updates re Studio news, artist’s opportunities and exhibitions, invitations to the opening nights of exhibitions organized by the Association and the opportunity to participate in selected Bittondi Exhibitions, at the discretion of the Management Committee. Associate Members may also work in the Studio within their given printmaking experience if they can organize the supervision of a Full Member. They may also apply for Full membership after an appropriate training period. The annual Associate Membership Fee is $20.00 and is renewable 12 months from the date of application. Visitor Membership is available to printmakers with a good knowledge of printmaking techniques, the competence to work alone, a proven familiarity with the equipment provided and Occupational Health & Safety procedures required and who will be working in Adelaide for less than 90 days, per annum. Your application will be presented to the Committee for approval and confirmation. Benefits offered include the same rights and responsibilities as Full Members. The Annual fee for Visitor Membership is $50.00 and is renewable 12 months from the date membership is confirmed. Members with unsupervised access to the Studio are normally required to pay a one-off Capital Contribution Levy of $100.00 to help with the purchase and maintenance of all the equipment required to set up a Printmaking Studio, however, the Capital Contribution Levy will be waived for Visitors working in Adelaide for periods of 3 months or less. Full, Student, Visitor & Life Members of Bittondi Printmakers Association Inc. will have unsupervised access to the Studio facilities. An orientation session will be provided for new members after their application has been approved. All studio users are required to abide by the Guidelines for Studio Use that are set by the Management Committee and recorded in the Bittondi Operations Manual. All members, visitors and presenters entering the Print Studio are required to sign the Studio Users Logbook. Any member with Studio access rights, and current DCSI Child Related Employment Screening approval can access the Studio between the hours of 6:00 am – 9:00 pm, 7 days a week. Any such member who does not have current DCSI approval, may access the Studio between the hours of 3:30 pm – 9:00 pm on the days when children are present, or between the hours of 6:00 am – 9:00 pm on weekends, public and school holidays. Your membership fee includes use of the presses, etchants, grounds, oil for clean-up, solvents and large rollers, a lunch room facility and limited lockable storage space for regular users. The fee does not include papers, inks, matrix, personal tools or rags and tissue etc. which must be supplied by the member. A full list of the Studio facilities is available on request. 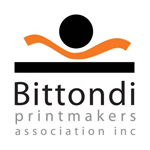 All participants attending Workshops, Classes or Demonstrations held at the Bittondi Printmakers Studio must be a current financial Member of the Association. The charge for the Workshop does not include the Associate Membership Fee of $20, which is payable directly to the Association or via your Workshop Presenter. STUDIO LOCATION – 1. 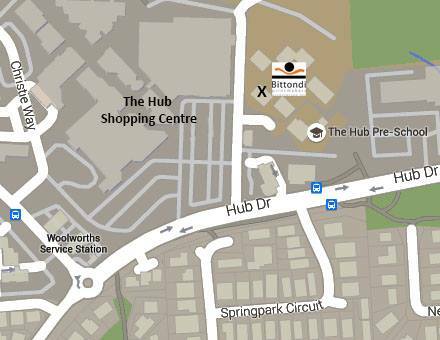 From HUB DRIVE at Aberfoyle Park, turn into the Hub Shopping Centre CAR PARK at the KFC entrance. 2. Then turn into the second entrance on the right which leads down to a small carpark which is used by the Child Care Centre and the Bittondi Print Studio. 3. The Studio is the first building on the left next to the perimeter fence near the gate (D29). 4. The Studio entrance is on the north side of the building at the western end of the verandah. To participate in activities in our studios you must be a member of Bittondi. To become a member, student member or associate member of Bittondi, please download and fill out the appropriate form (below). Please note your application will be tabled at our next committee meeting ( generally held monthly except over Christmas or other special circumstances). Bittondi is located in Aberfoyle Park within the Aberfoyle Park School Campus.